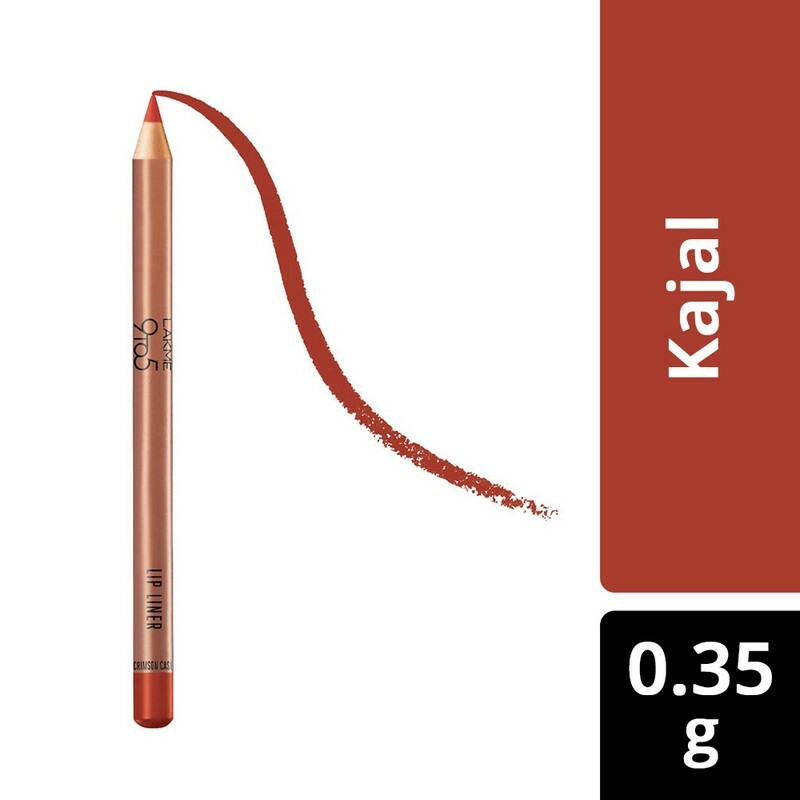 A perfect work wear lip liner in a brilliant crimson shade. This bright crimson-coloured lip liner keeps your lip colour locked throughout the day. With a satin-like texture, the liner glides to deliver a luminous colour pay-off. This lip liner is also waterproof. -Rinse your lips with water before using any makeup product. -Start from the centre of your upper lip and draw along the lip line on either side. -Glide the pencil from one end to the other on your lower lip line. -To let your lipstick last long, fill your lips with the lipliner completely before applying the lipstick.